There are exciting times ahead for this ardent pair. Self-confident Leo holds the key to unlocking Sagittarius's deeper passions, and their love life is an adventure. They also enjoy travel, meeting new people, and each other's company. Leo loves freedom almost as much as Sagittarius so there won't be problems with jealousy or possessiveness. Sagittarius has the lightness of touch necessary to cope with Leo's monumental ego. 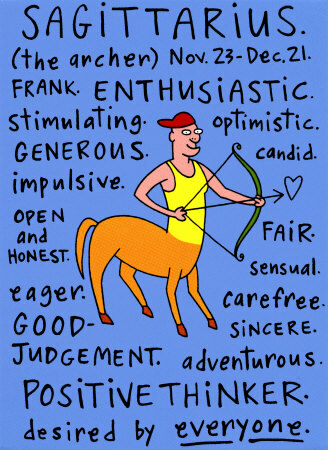 Sagittarius will seem fun-loving to Leo. Leo will be a teacher in some ways to Sagittarius. A grand mating.